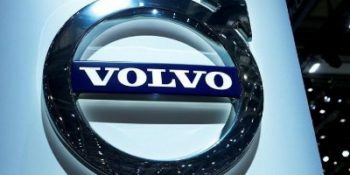 New Delhi : Swedish carmaker Volvo Cars on Thursday said it would assemble plug-in hybrid cars in India from the end of 2019. Volvo would be the first car maker to assemble plug-in hybrid cars in the country. “Volvo XC90 is going to be the first model from Volvo’s portfolio whose plug-in hybrid variant will be assembled locally at the Bengaluru plant by end of 2019,” the company said in a statement. Apart from the XC90, a range of plug-in hybrid models are slated for launch in the next three years. The company further said that the announcement places electrification at the core of Volvo’s future business and paves way for the complete phase-out of combustion-engine-only models. Reiterating its commitment for electrification, the company said that it plans to phase out conventional powertrains and focus only on electrification. “Volvo is committed to a goal of featuring some form of electric propulsion in its models from 2019 onwards. Every new Volvo from 2019 onwards will be electrified,” the statement said.